Kampmann GmbH is an internationally leading specialist for heating, cooling, air-conditioning and integrated building automation. 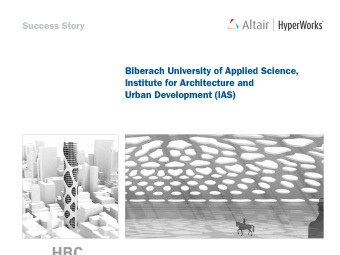 Within their virtual development process they are using the Altair HyperWorks® software suite, in particular AcuSolve®, the CFD solver; OptiStruct®, the suite's FE-solver and an optimization tool; and HyperMesh® for modeling and meshing tasks. For plant control design, Kampmann is currently considering solidThinking Activate®, a mapping software for control systems. 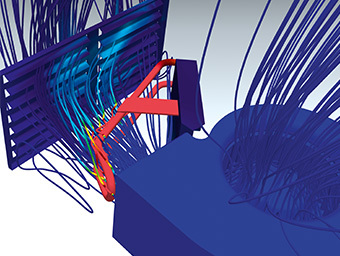 Thanks to simulation, Kampmann engineers are now able to answer questions regarding the internal processes of the system, which are difficult, if not impossible, to study through physical testing. 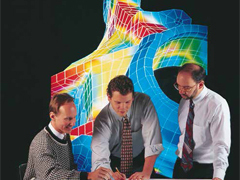 The RF Engineering group at the Institute of High Performance Computing (IHPC), develops advanced computational electromagnetics and multiphysics algorithms and tools, leveraging vast know-how in EMC for a wide range of applications. 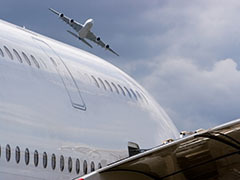 Typical challenges include electrically-large and multi-scale EM problems such as antenna placement on large platforms, and mutiphysics problems such as the electrical –thermal–mechanical analysis of composite materials. In a project that dealt with electrically large platforms, an efficient modelling tool was required to identify optimum antenna positions and minimize interference between various antennas. 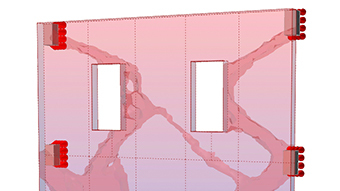 FEKO was used during the development process, helping to determine the design parameters of the surrogate models using its powerful optimization function. 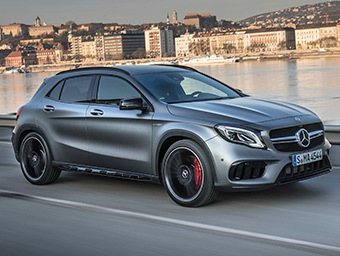 During the development of a new vehicle variant, Daimler wanted to explore the potential of utilizing a multi-disciplinary approach to optimization (MDO), whereby several attribute performance targets are considered in a single optimization study, a technique that has the promise to deliver rapid design direction to design teams. 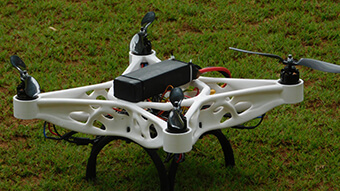 A university team at MIT, Pune used topology optimization and additive manufacturing to develop two new designs for the Quad-rotor UAV drone that were lighter and stronger than previous designs. 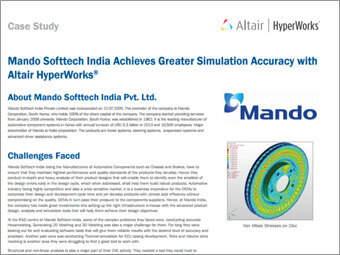 As Manufacturers of Automotive Components such as Chassis and Brakes, Mando Softtech India has to ensure that they maintain highest performance and quality standards of the products they develop. 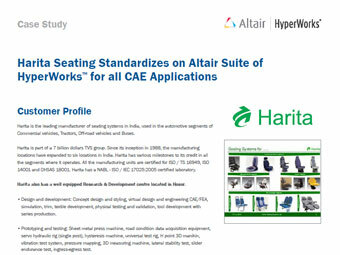 Implementation of Altair HyperWorks solutions has helped them considerably reduce their product development time and costs, while augmenting product quality. Their overall development time was reduced by up to 30 to 40%. Amazone develops and produces innovative agricultural technology, enabling and supporting modern and economical arable farming methods. 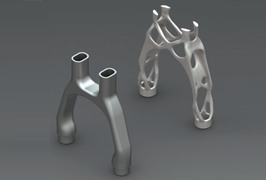 For the re-design of an originally welded suspension component as a casting part, solidThinking Inspire was used for topology optimization. 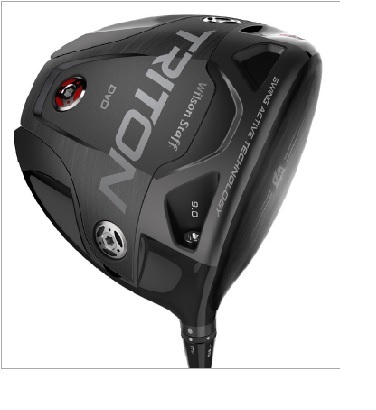 The benefits included increased durability by a factor of 2.5 and an 8% reduction in weight. 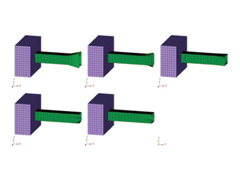 Ryerson's International Hyperloop Team utilized finite element analysis and topology optimization to redesign a metal additive manufactured motor bracket. 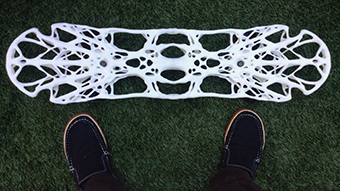 PolyNURBS was used to make the design 3D print-friendly. 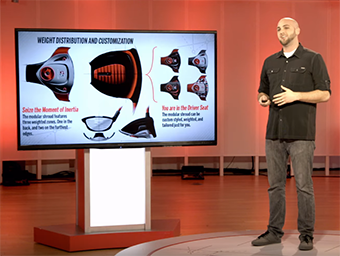 Altair’s work on Driver vs. Driver, Wilson Golf’s television competition that followed aspiring golf club designers in their journey to develop Wilson’s next club in production. 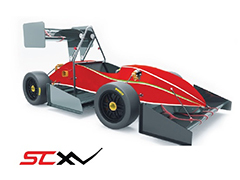 Our industrial design team worked with each of the contestants to develop and model the designs in Evolve while our CFD experts helped them simulate and optimize the aerodynamics of the club in Virtual Wind Tunnel. design teams were selected to assist in the development of the show, working under the direction of Wilson Labs. 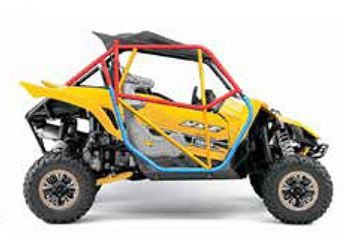 Australian company relies on virtual tools to test the roll cage structures that keep motorsports drivers safe. 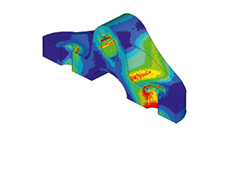 Bremar Automotion provides simulation, testing, validation and design optimization services. Faraone accelerates the design approach for lighter and stiffer architectural components with premium topology optimization technology. 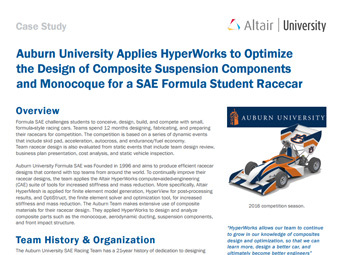 CKNA contacted Altair ProductDesign for training on the Squeak and Rattle Director, which led to more in-depth consultation on the squeak and rattle methodologies, ultimately saving the company time and money by helping them identify detrimental issues early on and by improving vehicle quality. For the Shell Eco-marathon, an international contest for sustainable mobility, student teams from schools and universities all over the world design vehicles that are as energy-efficient as possible. 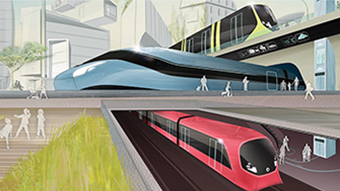 After passing a technical check, the vehicles compete for energy efficiency. 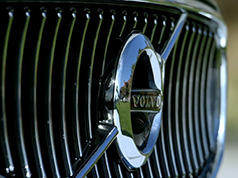 In this discipline the vehicles are evaluated for the vehicle’s reach per kWh. To compete in this category, a driver with a minimum weight of 50 kg has to drive a distance of 17.9 km in less than 43 minutes. 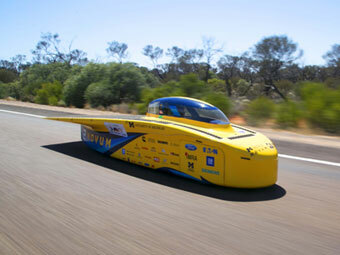 The challenge for the TUfast Eco team was breaking the world record for efficient vehicles and participation in the Shell Eco-marathon. 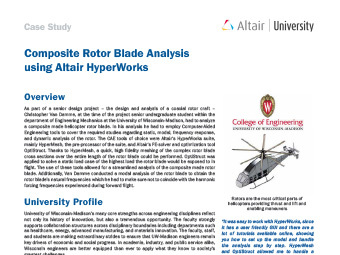 The Altair solution included topology optimization with HyperWorks. 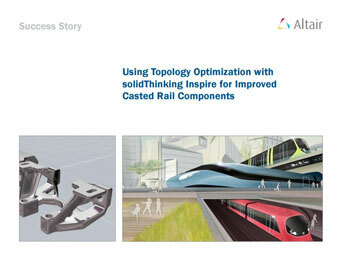 Alstom coupled topology optimization with additive manufacturing to explore the feasibility of alternate manufacturing to traditional casting. 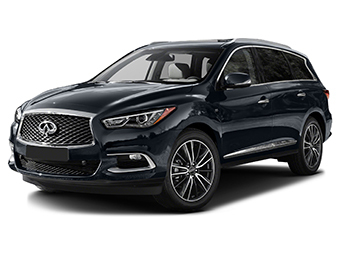 This resulted in a 70% weight reduction of its locomotive component. 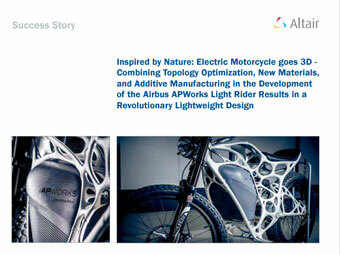 Triton Bikes utilized Altair Inspire to Increase performance, decrease the overall weight, and simplify manufacturability of a 3D printed custom bike rear yoke. 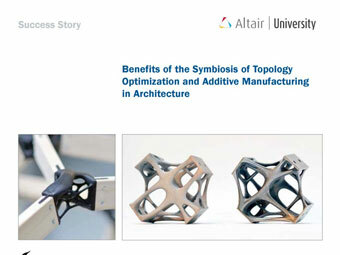 The challenge was to investigate the potential offered by the symbiosis of topology optimization and additive manufacturing for architectural projects. 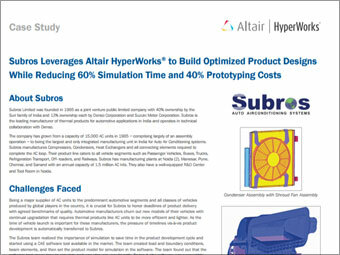 The Altair solution included the use of the HyperWorks suite, especially OptiStruct for optimization tasks. The benefits were reduced construction time and costs due to decreased material usage while receiving better and more esthetic results. and design as well as the quantity needed. and dynamic analysis of the rotor. 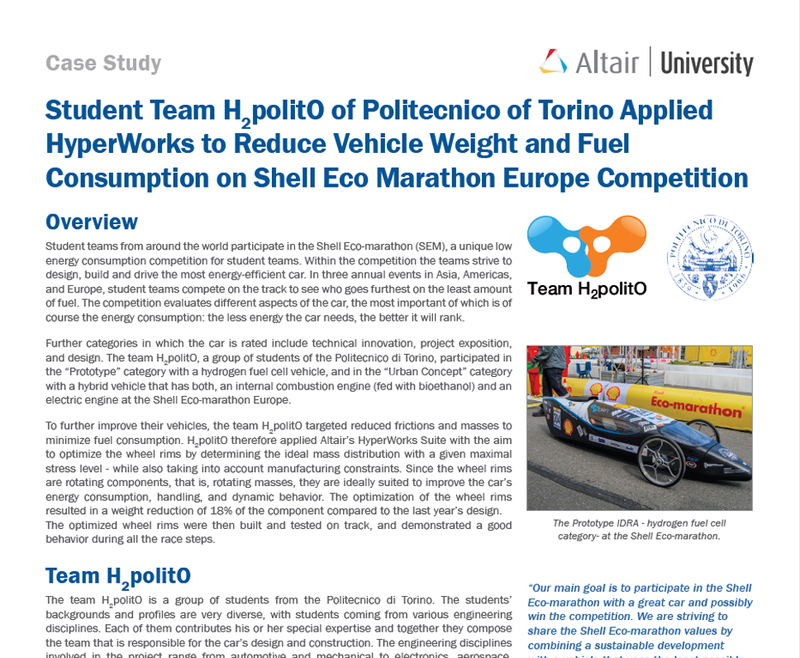 The students used HyperWorks which resulted in a weight reduction of 30% for those parts that were taken under consideration. Student teams from around the world participate in the Shell Eco-marathon (SEM), a unique low energy consumption competition for student teams. Within the competition the teams strive to design, build and drive the most energy-efficient car. 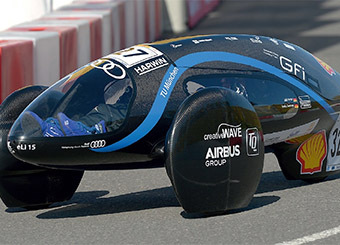 In three annual events in Asia, Americas, and Europe, student teams compete on the track to see who goes furthest on the least amount of fuel. 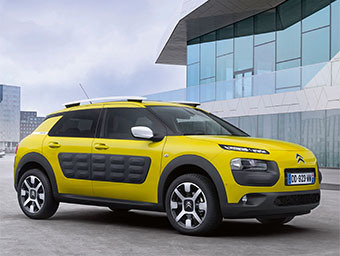 The competition evaluates different aspects of the car, the most important of which is of course the energy consumption: the less energy the car needs, the better it will rank. the world of multihull sailing. 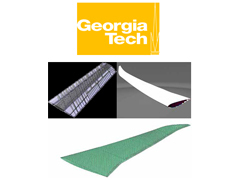 their composite design and development process the team was able to increase the stiffness of the chosen components by 10 percent while learning how to do a structural layout of carbon fiber composites. ThyssenKrupp Elevator wanted to explore ways to ensure that an innovative, ropeless elevator system design was as lightweight as possible in order to maximize the loading capacity of the cabins. 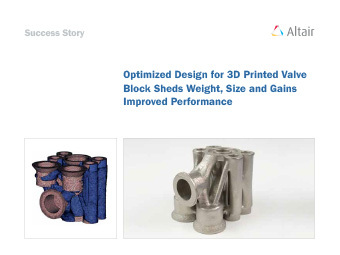 Altair ProductDesign was selected to explore methods and materials that could help to minimize the weight of the design due to the company’s experience in removing mass from products in the automotive and aerospace sectors. 3D Systems utilized topology optimization, finite element analysis, and generative design to conceptualize a new material layout for a 3D printed skateboard deck and trucks. 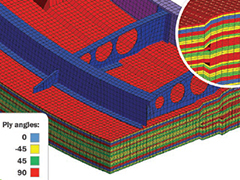 The chassis mass was reduced by 34% through the application of topology optimization. The suspension control arm mass was reduced by 28%. 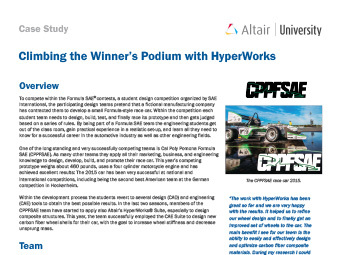 The team was able to apply the Altair HyperWorks simulation tools in a seamless manner with the Catia-based CAD data that was generated for the vehicle re-design. 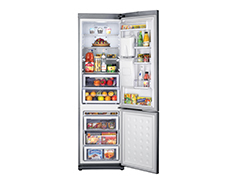 Haier Group is one of the world’s largest manufacturers of home appliances and consumer electronics. 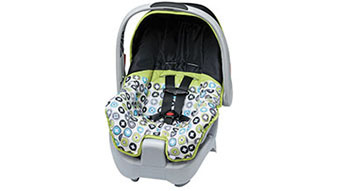 The company is the leader of its industry in China, where it is headquartered. 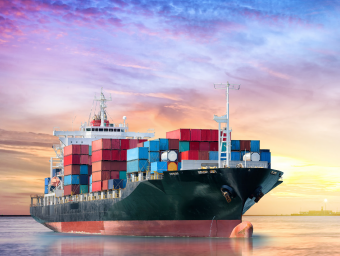 Haier ships its products all across the globe and in more than 100 countries, so well designed product packaging is crucial to the company’s ability to deliver products without damage to even the farthest destinations. 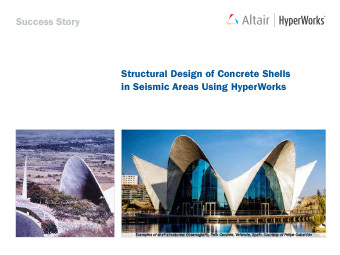 Download the Case study to see how Altair was able to reduce costs of physical testing and eliminate drop damage using simulated drop testing with HyperWorks. 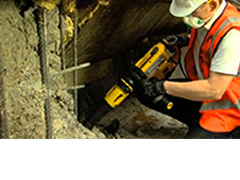 Re-Loc is a UK based company that developed a new product to help to accelerate the process of positioning metal reinforcement bars inside concrete bricks. 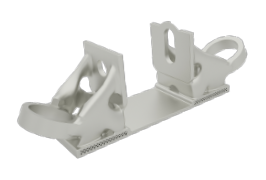 The Re-Loc product is a clip that fits tightly inside the brick’s cavity and attaches to the bar, holding it securely in place as the cavity is fillled with concrete. 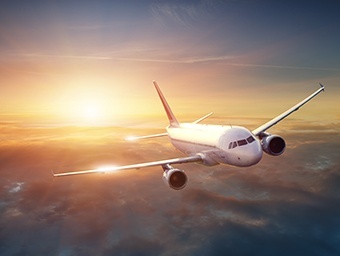 The team had already developed a rough design and proved that it could perform its intended job, but problems arose when it came to the high manufacturing cost of the product. 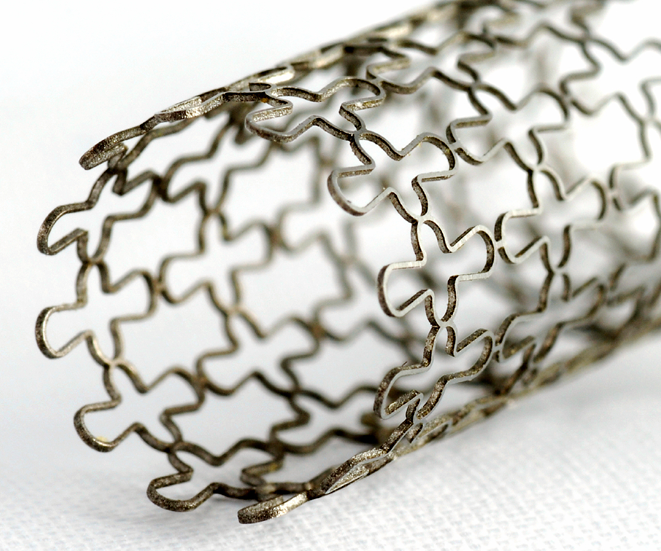 Re-Loc approached Altair ProductDesign to explore ways of reducing material use and cost from the part and to bring the design to a production level. 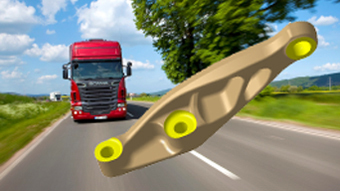 Mikael Thellner from Scania Trucks talks about improved design processes thanks to solidThinking Inspire. Designers can evaluate their products in earlier stages due to the ability to do analyses themselves. 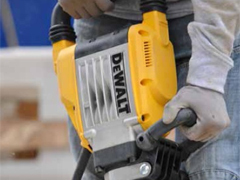 CAE is a core element in developing high-end, long-lasting professional power tools at DeWalt, a Stanley Black & Decker brand. 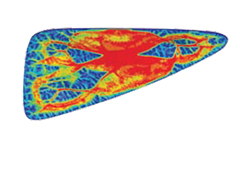 Steady improvements in the OptiStruct solver platform over 20 years have enabled users to tackle increasingly complex design challenges. 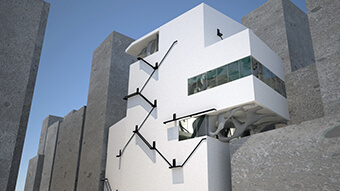 Now, OptiStruct in combination with 3D printing helps to achieve more efficient structural designs. The Georgia Tech Institute of Technology (Georgia Tech) took the lead in collaborating with five Universities to develop a senior-level capstone design course that would give engineering students collaborative design experience using state-of the art computational tools. The multi-disciplinary course was completed over two semesters. 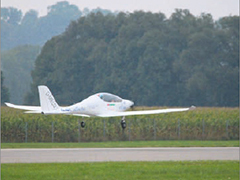 Students, under the direction of University professors and industrial mentors, completed a fixed-wing aircraft design. 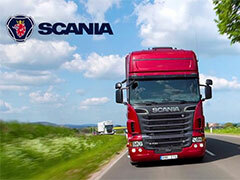 Scania uses a simulation-driven design process including topology optimization and finite element analysis. 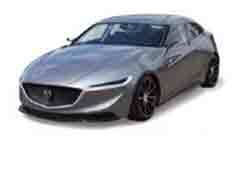 This speeds up their design and development process and produces lighter, more efficient components. 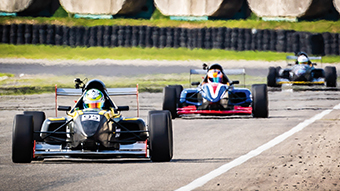 Monash Motorsport takes advantage of optimization and additive manufacturing technologies and wins again! 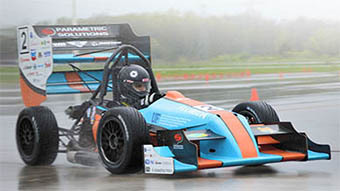 Since their first Australian SAE Student Racing competition in 2000, the Monash Motorsport team has steadily improved the performance of their race car. 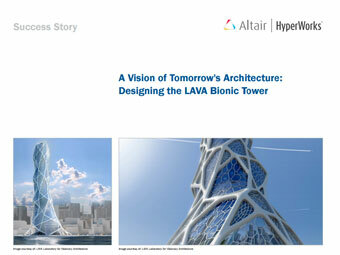 Recently the students discovered the benefits of combining Altair‘s OptiStruct optimization technology and 3D printing. Based on an initial prototype rear hub design from the 2013 car, the team proceeded to pursue titanium front hubs and uprights to decrease the car’s unsprung mass. 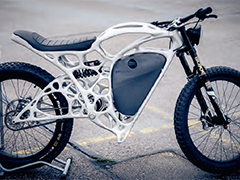 This was a tough challenge, since the former design was already made of lightweight aluminum. 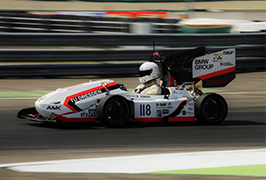 To tackle this, Monash Motorsport employed Altair’s optimization technology OptiStruct to design and optimize a titanium upright, which was then produced using additive manufacturing technology from CSIRO. 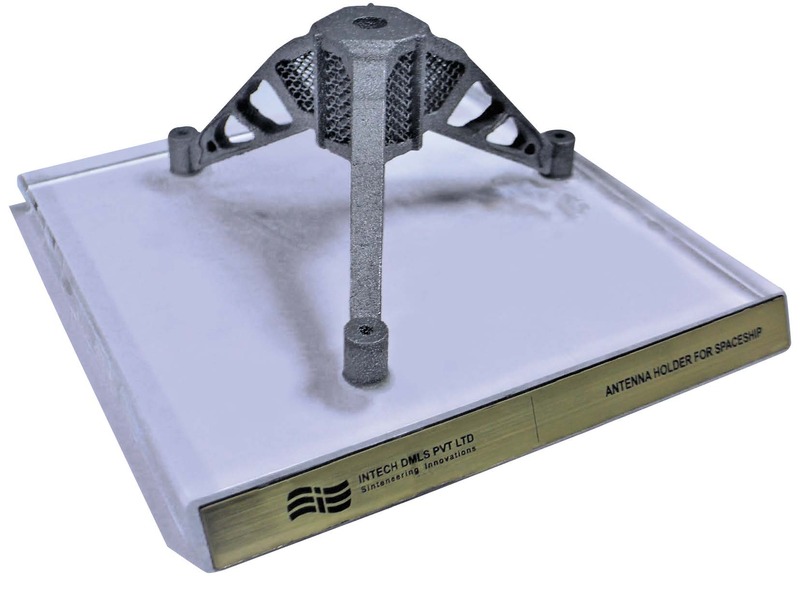 As a result, the students were able to reduce the component’s weight by a further 30 percent whilst maintaining the component stiffness and reducing the development time and costs. 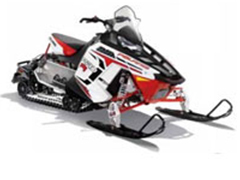 Polaris uses optimization software to achieve lightweight designed and recede time to market. 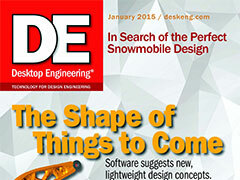 Learn how in this reprint of an article published on the January 2015 issue of Desktop Engineering magazine. 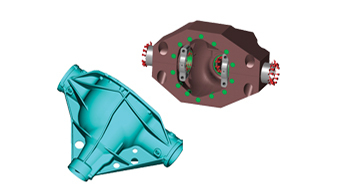 American Axle & Manufacturing employed topology optimization and FEA to redesign an automotive carrier to achieve a weight reduction of 20%. 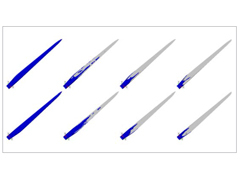 This presentation demonstrates how numerical optimization can be applied using OptiStruct to aid in the design development of a 100-meter composite wind turbine blade. Challenge: Development of design and optimization methods to improve components made with laser additive manufacturing methods. 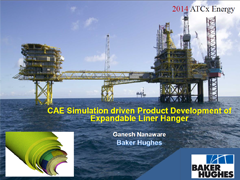 Expandable Liner Hanger presentation given by Ganesh Nanaware of Baker Hughes at ATCx Energy 2014.
automotive or oil and gas, they are frequently utilized as standard practice to efficiently produce designs and aid critical engineering decisions. The widespread acceptance of these methods coupled with the power of modern computing has led to applications across a range of design problems and ever-increasing complexity. The size and scope of this expansion continually pushes the boundaries of existing exploration and optimization methods. 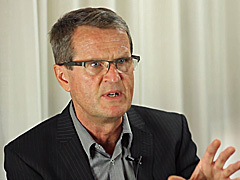 Furthermore, a complete exploration of the optimal design space includes computationally intensive features such as multi-objective optimization, to understand the trade-off between competing objectives, and global optimization, to avoid local extrema. 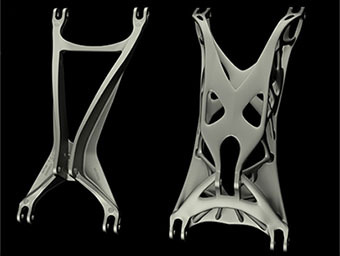 Rolo Bikes approached Altair ProductDesign due to its familiarity with the HyperWorks suite and expertise in the application of CAE techniques to optimize carbon fiber structures. 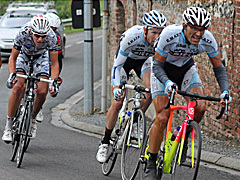 The objective of the program was to optimize a new bike frame to achieve world leading performance for weight, stiffness and comfort. 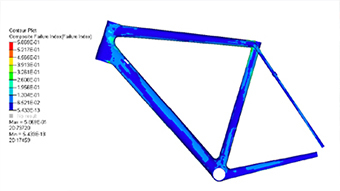 In addition, the team was also tasked with developing an efficient and cost effective virtual testing process to analyze the performance of future bike frames from Rolo and other partner companies. 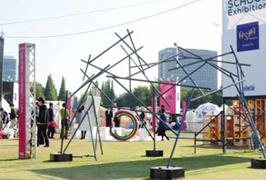 Studio-X and Tokyo DIGITAL use topology optimization to improve structural optimization and enhances building performance while reducing assembly time and material waste with lightweight design. Recently, ACENTISS has developed the all-electric technology demonstrator ELIAS (Electric Aircraft IABG ACENTISS) based on the one-seater UL aircraft ELECTRA ONE from PC-AERO GmbH. 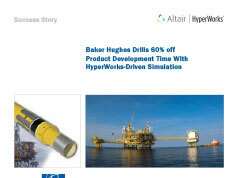 To perform all the needed engineering and development work of the project ACENTISS applied Altair’s HyperWorks suite. 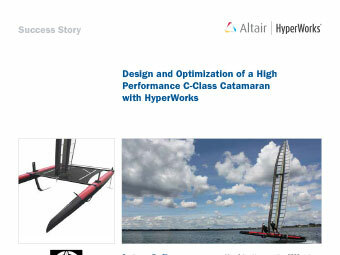 In this article, published on the May 2014 issue of JEC Composites Magazine, Shan Nageswaran explains why the latest version of HyperWorks® represents the most advanced evolution of computer-aided engineering (CAE) technology applicable to the aerospace industry. 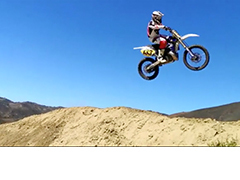 The motorcycles used in motocross racing demand light weight and high strength components in order to gain a performance advantage over the competition. 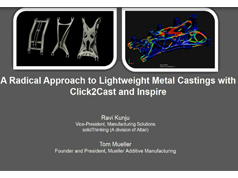 In this video testimonial Billy Wight, President of Luxon Engineering, presents a case study of applying Altair HyperWorks optimization techniques in the design of a motocross triple clamp assembly and rear suspension linkage. 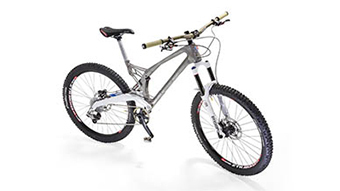 Renishaw and Empire Cycles utilized generative design to conceptualize the world's first metal additive manufactured bicycle frame. This resulted in a 33% weight reduction of the bicycle. 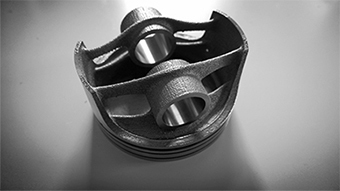 HardMarque coupled topology optimization with additive manufacturing to conceptualize and refine the design of a piston. 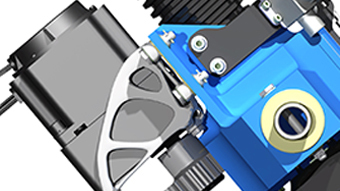 The final piston design is 23.5% lighter than the original design. 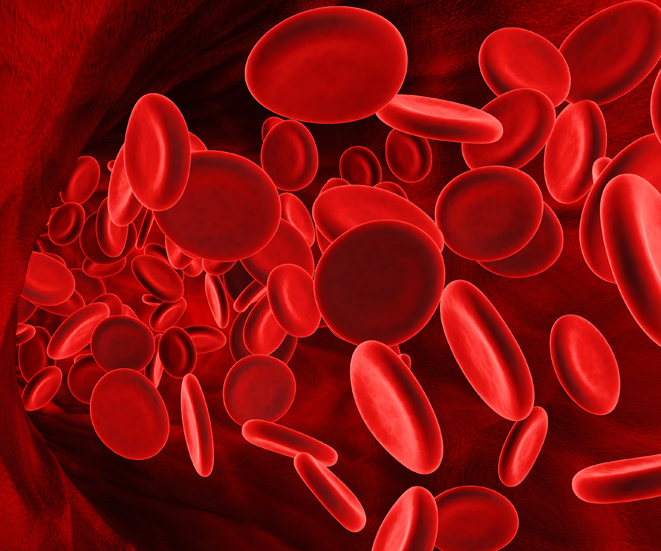 This paper summarizes the findings of a benchmark study with RADIOSS and Intel® Xeon® processors. In the study, Altair benchmarked RADIOSS using a modified crash simulation model on a single-node platform -- RADIOSS was able to easily take advantage of all 60 cores, running the workload 2.75X faster than on a comparable 24-core platform. 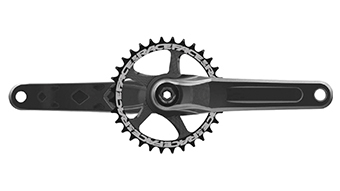 Race Face redesigned a bicycle crank using generative design and finite element analysis. 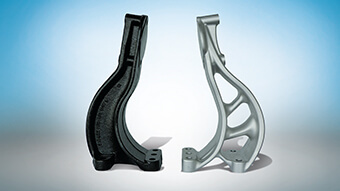 The concept design process yielded a part with increased stiffness and strength without increasing the weight of the part. 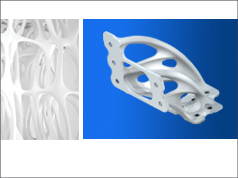 Gestamp Tallent Ltd is a world class designer, developer and manufacturer of cutting edge, chassis structural and suspension products, body in white structures, modules and systems for the automotive industry. 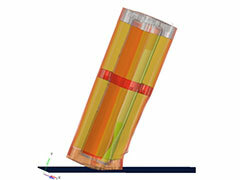 Gestamp used the BMW MINI front subframe tower to demonstrate the weld distortion optimisation approach. The tower is particularly susceptible to distortion due to its tall and thin dimensions. 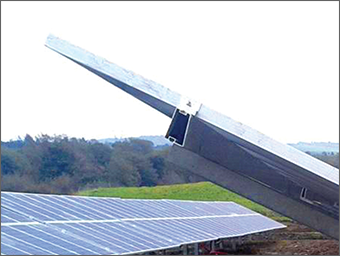 The objective of this optimisation was to minimise the distortion of the tower measured by the displacement of the top of the tower as the weld sections cool. 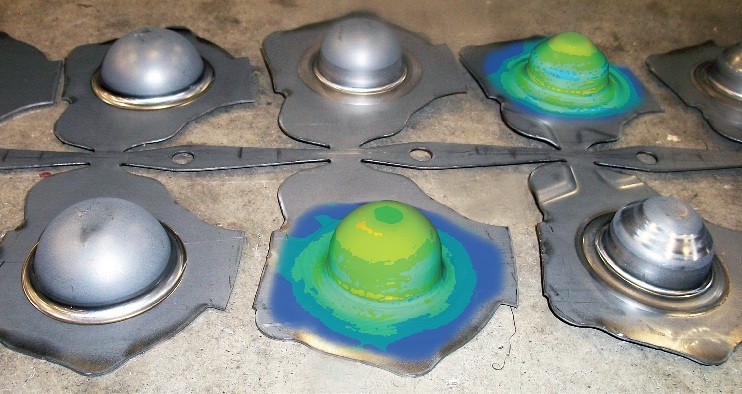 In order to further investigate weld removal optimisation they chose HyperStudy. 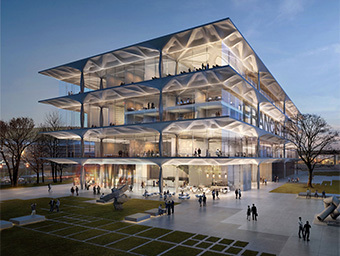 Architect Peter Macapia aims to change perceptions of how buildings can look; generative design software aids in imaginative engineering and architecture projects, integrating design and testing in the same space. 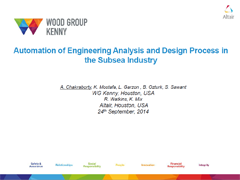 When making key decisions at the concept and preliminary design phases of a naval ship project, the designer is often obliged to work with limited data on the major structural design drivers for the vessel. This can lead to a largely subjective design approach which can result in inefficiency and even structural problems being locked-in from the start. 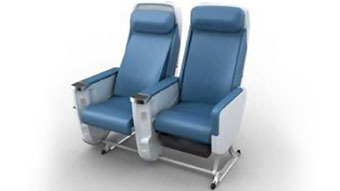 To solve any issues, increased material use, weight and unnecessary complexity, as well as high design and manufacture costs can be introduced to the end product. 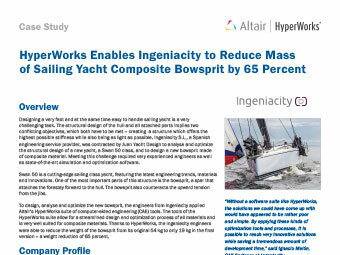 To evaluate the potential of simulation-driven design under the unique requirements of naval ship design, the ACA partnered with Altair ProductDesign. A new technology helps design engineers quickly create dramatically lighter structures — and better understand the effects of material placement in whatever they’re developing. 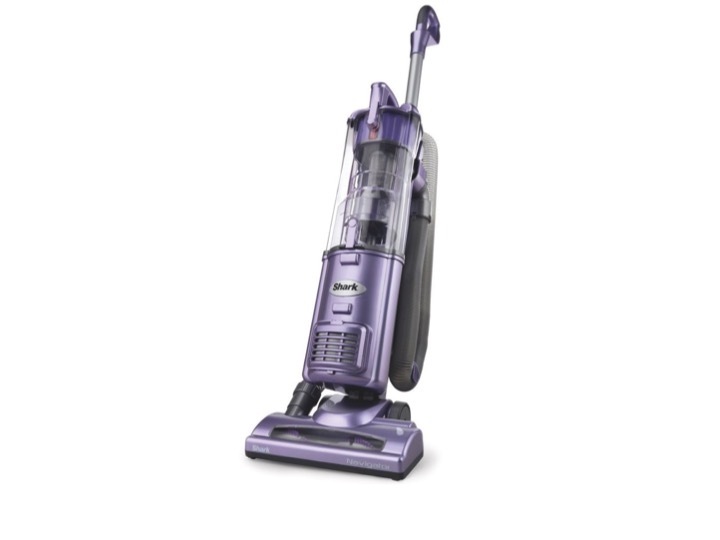 the cost of appliances without sacrificing performance. The Clemson University Deep Orange 3 program introduced future engineers to analysis software, enabling them to develop a novel sports car concept architecture. 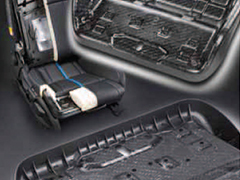 Continuous fiber-reinforced thermoplastic composite and virtual simulation technology enables BASF to develop an innovative and cost-neutral seat pan that is 45% lighter than its predecessor.